Join the Coolidge students, alumni, and neighbors for a fun-fill day! Help us plant the garden designed by the community this past April. Create a place to join the students, alumni and community together. We look forward to seeing you Saturday, November 6, 2010 at the Community Plant-it Day. We will be hosting a design day on Saturday, April 17th, 2010. 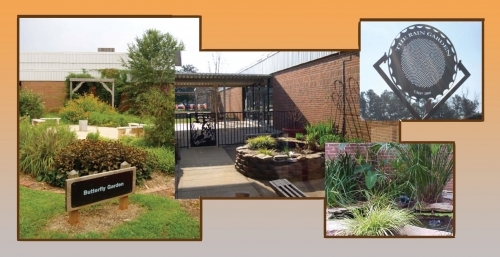 Students, educators, parents and the community will work with landscape architects to design the space to accommodate a variety of activities that will help to beautify the campus. We will also explore creating a campus master plan, which will begin to address the needs of all the outdoor space at Coolidge. While the landscape architects will help facilitate the discussion, the design will come straight from you! A greenhouse garden design that the landscape architects can turn into construction documents, which we will use for our Build It Day in Fall 2010. 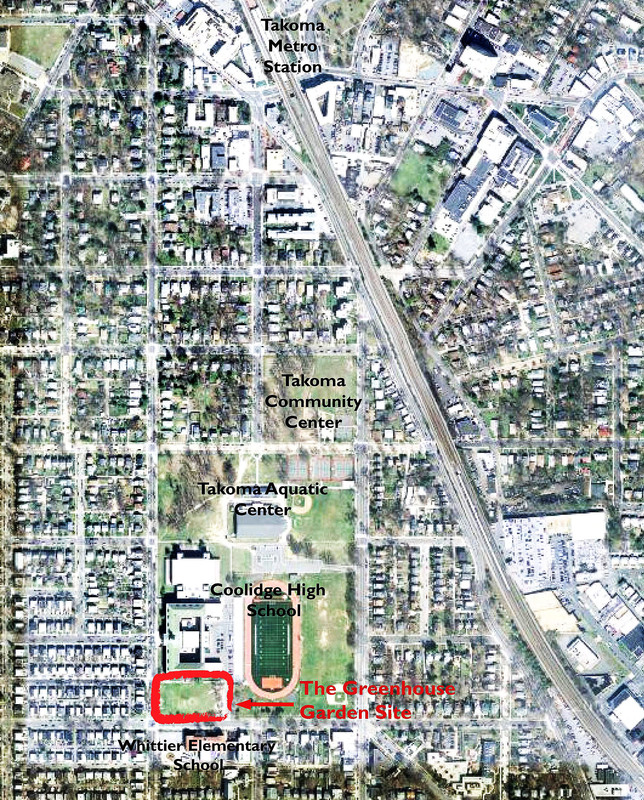 A diagrammatic master plan the community and Alumni Association can use to start prioritizing outdoor improvements at the school. 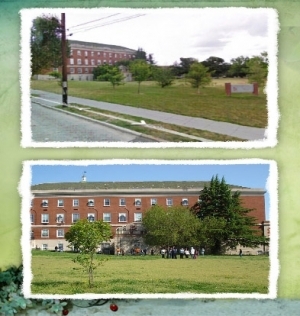 • How can the campus become an outdoor classroom? • How can the greenhouse gardens be used to strengthen the relationship between the school and the community? • What garden elements would you like to see in the design (i.e. seating area, rain garden, shade, vegetable garden plots, etc.)? • Would you be interested in helping to maintain the gardens? This fall, the Coolidge High School community will team up with ASLA to construct the design created in April. ASLA is working closely with vendors attending their national convention in Washington, DC this September to donate plant and hardscape materials to create the greenhouse gardens. If you are interested in donating materials or volunteering for the Build-It Day, please contact Elizabeth Miller via e-mail (Elizabeth.Miller@ncpc.gov) or phone (202.482.7246). The Coolidge High School Alumni Association has teamed up with the ACE Mentoring Program, the American Society of Landscape Architects, and the National Society of Black Engineers to design and install a greenhouse garden along the southern side of the school. Surrounding the greenhouse, construted as a part of the orginal construction of the school in 1938, the garden is a work in progress. We need your help to make it happen! Students in the ACE program are working hard to identify the existing site conditions, and are performing research on sustainable design tools such as rain gardens, recycled hardscape materials (such as benches and pavers) and solar power. Much like the greenhouse renovation, the goal of the garden is to create a place for everyone to enjoy with minimal impacts to the natural environment. Some of the work done by the students this semester can be found in link above. 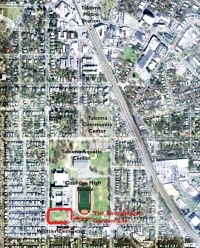 To learn more about improving public schoolyards and parks in Washington, please visit the CapitalSpace initiative's website at www.capitalspace.gov. CapitalSpace is committed to providing a beautiful, high-quality and unified park system for Washington, DC, and the partner agencies commend the Alumni Association, ACE, NSBE and ASLA's efforts towards Coolidge's Design It Day!